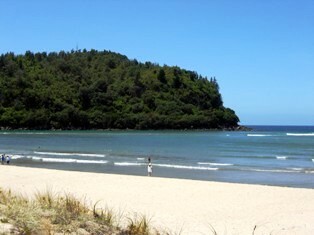 Tairua, Hikuai, Whangamata, Ohui, Opoutere. 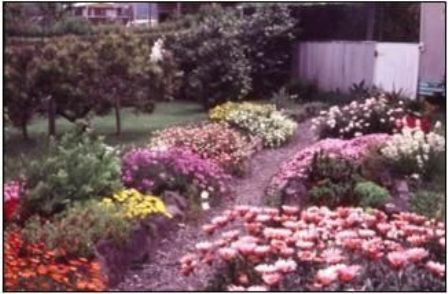 Gardens and gardening formed a relevant activity of residents living in the small settlements on the Coromandel's Eastern Seaboard. Vegetable gardens and fruit trees helped the food supplies for those early European settlers. From the 1960's Whangamata became a fast-growing small town, with a mix of retired residents and bach owners added to forestry workers, fishermen and farmers. Tairua connected to Whangamata via a metal road ( SH25) also saw changes. 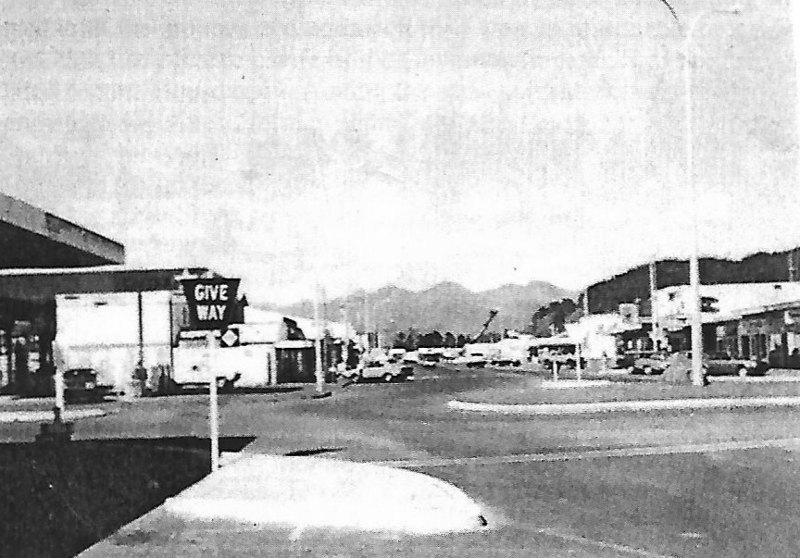 For both towns the opening of the Kopu Hikuai Highway ( SH25A) 23 March 1967, bought easier access to Thames. For some bach owners from Auckland on the Coromandel's Eastern Seaboard, easier access across the one way historic " old Kopu Bridge" and onto this new highway instead of the Tapu Coroglen Road. Changing coastal properties and growing populations led to a change in retail shops on offer. During the 1970's two new subdivisions opened up - one Watt's subdivision at Moana Point and the other Williamson's further subdivision know as Beverley Hills. These spurred the need for garden supplies. The first garden centre in Whangamata opened for business, on Port Road, in 1974. Providing potted colour, seedlings for vegetable and flower gardens along with garden supplies. adapted to name changes and owners over the ensuing 31 years. Owners of this Garden Centre were Eric and Gladys Skilton. Eric made regular trips to Tauranga for stock. Their son Brevat became a plumber so the Garden centre diversified with the front of the shop area devoted to plumbing supplies and the rear to garden supplies, etc. Port Road - also called the main street of Whangamata in the 1970's, consisted of two groups of shops - one near the Post Office and the other nearer to the wharf, consisting of the garden centre, a fish shop, a cinema ( picture theatre) , Rob Stewart's shop next door, a book shop on the corner ( no cafe's in those days but there was what known as the Slipper Milk Bar next to the cinema, providing the ice creams and jaffas to patrons at half time. 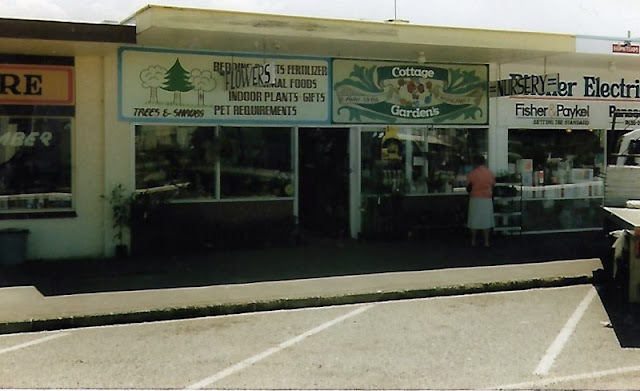 The garden centre building of the 1970's was typical of that era in NZ coastal locations - fibrolite walls with iron roof. Into a new decade - the 1980's - saw new owners of the garden centre - Paul and Jan Shanks. The garden centre received a new name - Home Grown. 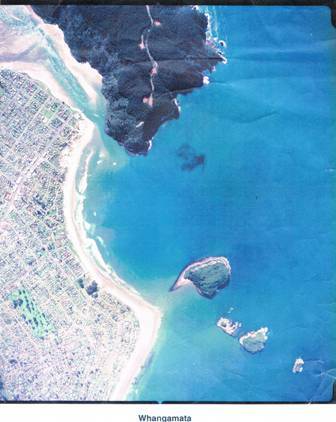 By the 1980's Whangamata was well known for one of the finest surf destinations in New Zealand. This was the long, left-hand break at the entrance of the Whangamata Harbour - known to locals as " the Whanga bar." Paul Shanks garden centre owner had also become " captured " by this sport of surfing. Beginning surfing in the 60's, where the family would come to the family bach at Whangamata, Paul started working life working for Brian Weaver surfboards - a first job. Moving to Whangamata about 1975 saw a continuation of surf board manufacture - this time an embryo surf board business with Kingsly Kernoski. Of course Paul surfed that long left-hand break in spare time. A Natural progression for Paul with his continued passion for surfing was, a garden centre one side of the building and the other Tubecruiser - Paul's own brand of surfboard. Potted colour and garden supplies were sold in the garden centre side. Rob Stewart's shop next door had been replaced by Allan Boulton's Home Appliances - both premises meeting the needs of new bach owners. By 1982 Paul Shanks had moved on to new premises and surf board manufacture. New owners of the garden centre - the Chapman's ran this from 1981 to 1985. With Whangamata town growing fast, shrubs became a main item - citrus fruit being popular. Sections in the1980's were often " quarter acre" with the long grass of the " sixties" making way for lawns and a reduction in summer months of fire risk.
" Whangamata has a permanent population of 1,900 swelling to an estimated 30,000 in the summer months when holiday-makers from all over the country converge on the town. Fishing, good surf, and five kilometres of sandy beach, are only a few of the attractions of this resort." This demonstrated a growing town of permanents. Another change of owners to see during 1985 - 1988 Ray and Juliann Moffat. They traded under the name Garden and Outdoor Centre. When renovating in 2001, Chris Ball found the original sign tucked away in the fertiliser room. Ray and Juliann offered total garden requirements. An advertisement listed shrubs, fertilisers,sprays, bedding plants and house plants amongst the many products available. Fertiliser was a must for the sandy soils of Whangamata on the flat. It was during the 1980's that a pedestrian crossing appeared across Port Road near the garden centre. Along with a round-a-bout ( Hetherington Road / Port Road due to the increasing traffic flow, especially during the Christmas Summer Holidays. In addition, Garden and Outdoor Centre were also the agents for Sunnyside Florist ( a new diversification) and Allen's Septic Tanks. ( Allen's septic tanks were a necessary service to a growing town which was also before Council implemented a sewerage system). Diversifying even more - often a need for a small business in a coastal rural community to consider - Ray and Juliann also offered landscape design and construction. Popular for new residents developing sections into gardens. In 1988, the garden centre was sold to John McGaughran. John and Dawn McGaughran took over the Garden Centre from the Moffats and along with this came a name change - Cottage Gardens. Initially Dawn - a florist - was to operated a florist area in the garden centre. However this did not eventuate. John continued, adding pet supplies, stock food and caneware to the goods and services on offer. 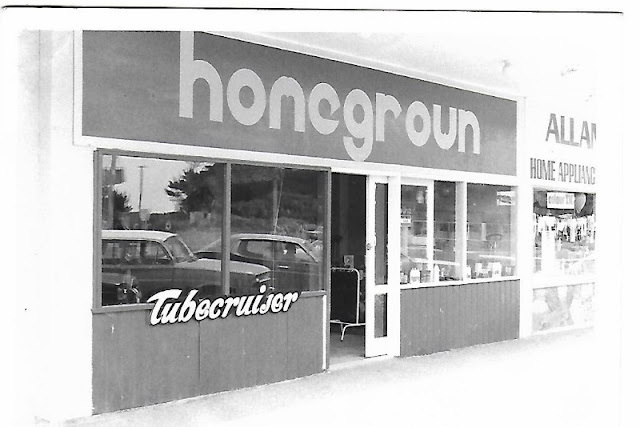 John's era of ownership also saw the larger hardware chains open on the Coromandel's Eastern Seaboard during the 1990's - Mitre 10 and Bunnings ( formerly Placemakers) at Whangamata and Hammer Hardware at Tairua. These chains also sold, along with hardware supplies, garden supplies, including shrubs and seedlings. There was also another garden centre at Whangamata and Tairua. 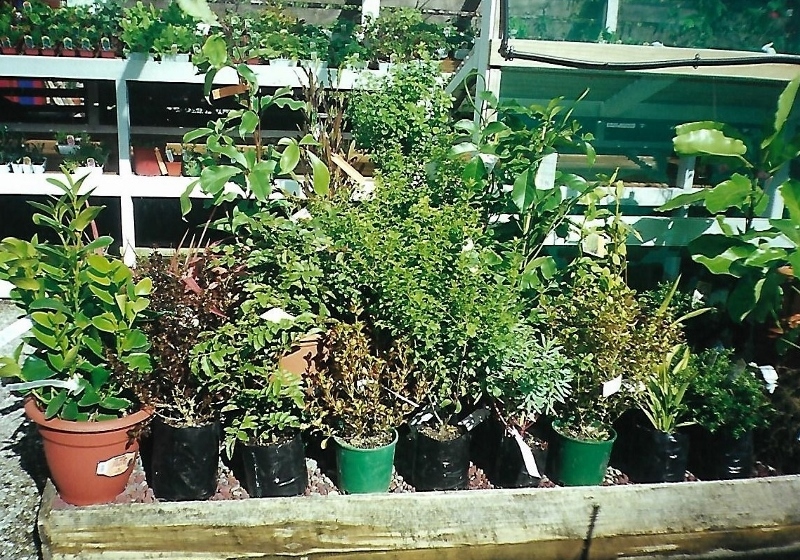 Seedlings, shrubs, fruit trees and fertiliser became a big seller in the fast growing town of Whangamata and in fact the wider area of Onemana, Opoutere and Pauanui. John also operated a landscape construction service for bach and home owners, being kept busy collecting dry goods and plants and delivering often to site. A rock garden was built in the garden centre building which contained John's pet goldfish. This became a drawcard for young visitors with their parents - especially holiday makers. John's talking parrot, Billy, received visits from the hoidaymakers also. When John sold Cottage Gardens to Chris Ball in 1999, had also became the longest owner, boasting 11 years. By then Alan Boulton Home Appliances next door had been bought by Pitcher Electrical and on the other side a Pizza Restaurant operated by Steve and Liz. By 1994 sections in Whangamata were beginning to be subdivided and also smaller - no longer the " quarter acre" section we knew in New Zealand of the past. In 1999, when Chris Ball took over ownership from John McGaughran, a revamp for a new century and new milennium took place. A new name - Cottage Gardens Plant Boutique - to fit the size of the building and yard. A new seedling bay along with upgrade and paint job on the plant holding beds. Seedlings were contract grown. 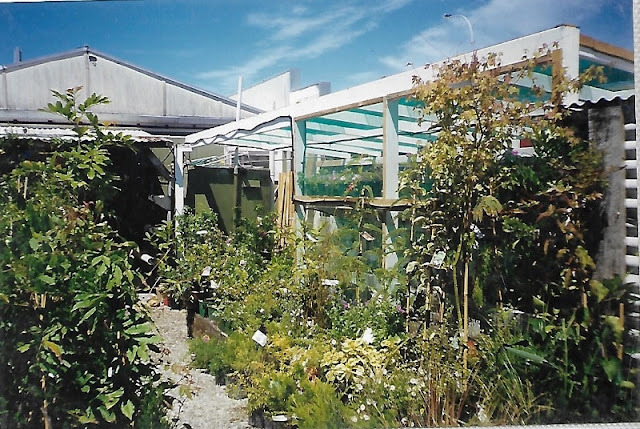 Along with seedlings, shrubs ( specialising in New Zealand native plants and indoor plants ( mainly cacti and succulents) was added a wider range of patio pots and garden ornaments. 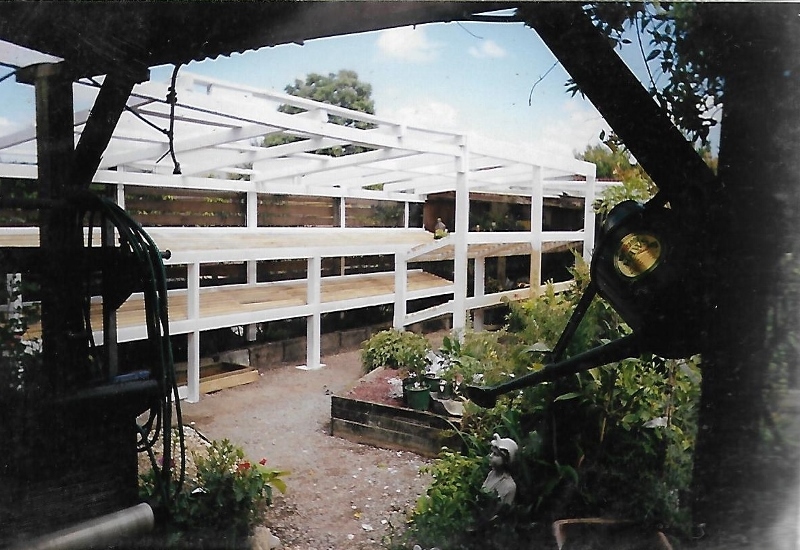 This to fit the changing lifestyles of smaller gardens and in the new century timber decks and enhanced patio areas. The range of pet supplies and stockfood made way for live goldfish, fish supplies, water features and water plants. To the range of available garden supplies were added Eco talks. Information on NZ native plants for coastal, organic weed treatments, potting up patio plants and safe use of potting mix. Keeping up with new digital technology in the new milennium a web site was developed - sharing the plants available and handy hints for care. During this new century and milennium, more sections were subdivided , people capitalising on rising beach property prices. In the main lawns gave way to concrete, including concrete driveways. Planting of palms became very fashionable along with succulents and cacti. By 2005, Port Break -upstairs apartments and shop for 100 % chain below was planned and construction begun. A changing main street of cafes, restaurants and beach clothing shops saw the end of a garden centre after thirty years in the main street. Chris Ball closed in August 2005 and the changing town centre saw firstly in its place for six months a fresh fish shop and then a Sushi restaurant. ( the next valley over and interlinked with Whangamata History via family and community) This is the Garden Shed opened by Greg Pilcher and guess what - once again as with Paul Shanks (of Homegrown garden centre and renown surfer) - Greg offers surf board repair and surf board hire. A new part of our past New Zealand history. For Chris Ball ( previous owner of Cottage Gardens Plant Boutique ) who had his Atlas Wood surfboard of many years past, repaired maybe a new part of history gardening and surfing ? Who knows?